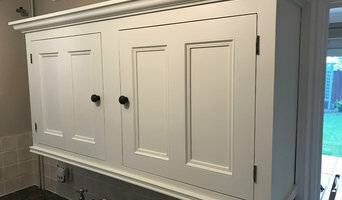 I have been a specialist in the Hand Painting of kitchen units and free standing furniture for 27 years.I can turn existing wood kitchen units into up to the minute Hand Painted ones in any colour.All my work is sealed with a coat of Hard as nails varnish to make them practicable for every day use. Established for over 25 years and committed to customer satisfaction we pride ourselves in being Dorset’s leading specialists in high quality Painting and Decorating. You can rest assured in the quality of our workmanship. Covering all aspects of both domestic and commercial decorating, no project is too large or small - from decorating a small bedroom to the complete redecoration of houses or schools, shops, restaurants, shopping centres and more. Established for over 25 years and committed to customer satisfaction we pride ourselves in being Dorset’s leading specialists in high quality Painting and Decorating. You can rest assured in the quality of our workmanship. Covering all aspects of both domestic and commercial decorating, no project is too large or small - from decorating a small bedroom to the complete redecoration of houses or schools, shops, restaurants, shopping centres and more. Although based in Bournemouth because of our approach to business we are able to carry out large scale projects in any area of the UK. Although based in Bournemouth because of our approach to business we are able to carry out large scale projects in any area of the UK. J M Decorating offers a wide range of decorative services as well as basic building maintenance. Operating in the Portsmouth and surrounding areas, but also nationwide for the right projects. We take great pride in working alongside our clients to meet their needs just how they envisage them. All our work is finished to high end standards by clean, reliable professionals. 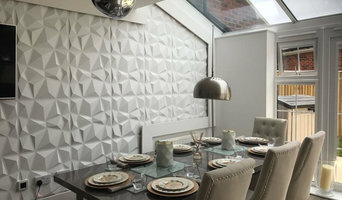 Interior & exterior decoration, Wall papering, Lincrusta approved installer, And all other aspects of decorative work. I am a local painter and decorator and have been established for many years in the Bournemouth Poole Ferndown and Christchurch areas. Our expertise and experience since 1983 has ensured that we have become a trusted well established company with a reputation for reliability and quality. All our work is to a high professional standard and we fully believe that preparation and attention to detail is the key to a successful long lasting job. Finishing with quality trade paints and 100% customer satisfaction is very important to us. IKA Refurbishment Ltd have operated in London for 10 years and have expanded in the last 4 years to cover the Dorset area as well. As well as covering all aspects of painting and decorating work, IKA have grown their services to offer bathroom and kitchen installations as well as carpentry work. At IKA Refurbishment Ltd, we cover all aspects of painting work, including exteriors and interiors. Our team of experienced and professional painters can give a fresh look to your walls, fences or decking with a new coat of paint. We execute other building work, including property maintenance, tiling, electrical work, plumbing and flooring. Contact us today to learn more about our services and for a free quote. With over 16 years experience within the decorative painting industry, we cover all aspects of paint finishes from general painting and decorating through to a wide range of specialist finishes to transform walls, furniture and kitchen units. What jobs do Southampton, Hampshire painters and decorators do? 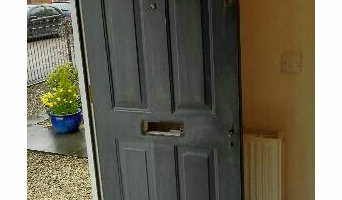 As well as plain painting jobs, many Southampton, Hampshire painters and decorators will take on other jobs as well. If you’re dealing with an old or run-down property and you need the walls completely stripped down before painting, this could be tackled by a Southampton, Hampshire painter decorator. Some professionals will also carry out repairs on paint work and walls, from small cracks and holes to sometimes larger repairs like fixing window panes, doorframes and sills. Some painters and decorators may specialise in certain kinds of painting, such as window exteriors, doors, gates and fences. And finally, you may find some contractors are very good at the finishing touches, not only neatly finishing paint work but also installing beautiful wallpaper, wall stickers, painting intricate or fiddly features or even painting patterns and murals on your walls. Why should I hire a painter and decorator in Southampton, Hampshire rather than doing it myself? 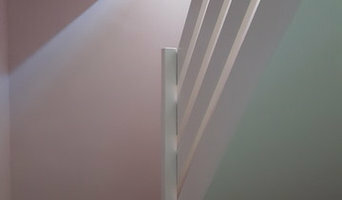 Even if you are planning on going very simple with your walls, perhaps a crisp white or grey, then using Southampton, Hampshire painters and decorators to finish the job to a high standard is still advisable. Not only will it mean your painted walls will be clean and precise, but it will also save you the time and effort of painting and decorating yourself. House painters in Southampton, Hampshire will be quick and efficient at painting your rooms, and if you have a tricky outside wall or space that needs painting, specialist exterior painters are the professionals for the job. Search for Southampton, Hampshire painters and decorators on Houzz to see past painting and decorating projects and reviews from clients to see if there’s a professional that can help you with your project. Even if a local painter decorator doesn’t specialise in your kind of project, ask them first, and they may know other professionals that can help, such as wallpaper specialists, paint companies or wall sticker or mural installers. Find a painter decorator on Houzz. 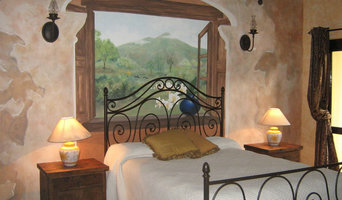 Narrow your search in the Professionals section of the website to Southampton, Hampshire painter or decorator. You can also look through Southampton, Hampshire photos to find examples of painting and decorating jobs that you like, then contact the professional who worked on them.